Ke Pizza is a Roman “Pizza al Taglio” concept (pizza served by the slice or tray). Massimiliano Saieva, the lead instructor for Roman Pizza Academy and longest standing Roman Pizza Pioneer in the US, is the chef behind the dough. That’s what makes Ke Pizza better than everyone else. Nobody does it like Massimiliano. Ke Pizza creates the wow factor with all who enter both with the first sight of their pizza and with every bite while providing a friendly and unforgettable authentic Italian counter service experience. 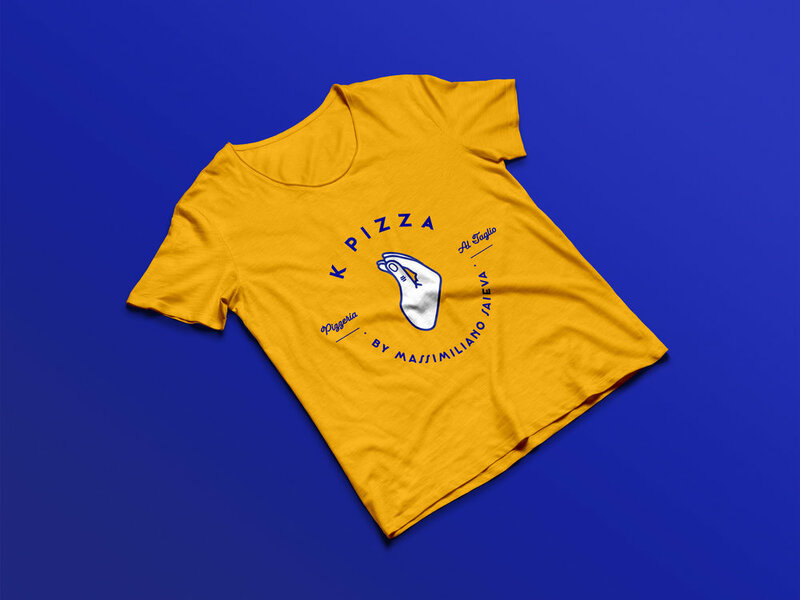 Our design strategy called for a dynamic visual language to connect the uniqueness of Ke Pizza’s concept while leveraging the recognition already established in the Massimiliano name. We wanted to avoid the typical tropes that often feed unwanted perceptions of kitchy Italian pizza place. This brand is anything but. Our team drew inspiration from Fellini films, modern Italian typography, athletic wear, and graffiti found in the urban streets of Rome to deliver a brand voice that is bold, concise, and a fresh pop of vibrancy that the industry needs right now. Icons are an important way to communicate complex ideas, especially to an audience that may not be familiar with Urban Roman culture and food. With an increase of dining options popping up all over, the importance of having a specific style for Ke Pizza’s icons was more essential than ever. Our team created icons that include key ingredients as well as iconography portraying the different hand gestures that accompany Roman slang.